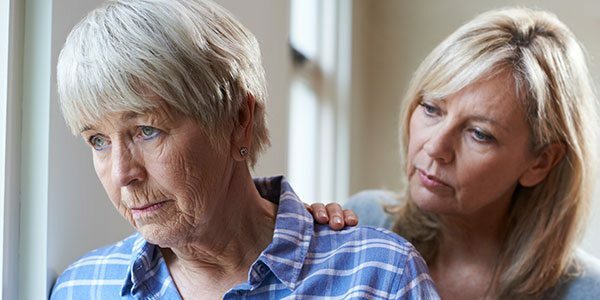 Alzheimer’s disease affects more women than men. A study on the connections between dementia and menopause may explain why. During the menopausal and perimenopausal period, women undergo a number of metabolic changes. Some of these changes affect the brain, which may create neurological conditions that put them at greater risk for Alzheimer’s. A recent study examined the correlation between the disease and menopause. Researchers at Weill Cornell Medicine and the University of Arizona Health Sciences in Tucson collaborated on the study. Being a woman is one of the greatest risk factors for developing dementia, second only to old age. The reasons why dementia develops are still uncertain, but this joint study may help to clarify why women are at greater risk than men. In the study, the researchers examined the brains of 43 women using positron emission tomography imaging technology to assess neural metabolism of glucose. This metabolism process produces most of the brain’s energy supply. Researchers examined this process because low levels of glucose in the brain often come before a dementia diagnosis. Some scientists believe that low glucose levels may actually trigger dementia. The researchers conducted their study on women who were at different life stages; one-third were premenopausal, one-third were perimenopausal and one-third were postmenopausal. The premenopausal women had the highest levels of glucose metabolism. The other women had markedly lower levels. Menopause can lead to hypometabolism, which may be a trigger for Alzheimer’s disease. However, that’s not the only way menopause affects female metabolic processes. It can also lead to mitochondrial dysfunction. This means that the brain cells’ ability to process energy is diminished. This mitochondrial dysfunction is due to depleted resources of an enzyme known as “mitochondrial cytochrome oxidase.” During the study, women in the perimenopausal and postmenopausal stages of life had less of this important enzyme. During menopause, female bodies start to produce less estrogen. Many of the health conditions associated with this change are well known; for example, it can lead to weakened bones and osteoporosis. However, one of the less known consequences of estrogen decline is potential cognitive decline. Every brain cell has an estrogen receptor. When the body’s production of estrogen suddenly decreases, these cells may react by going into starvation mode. This can cause a dysfunctional brain situation, which may be a precursor to dementia. 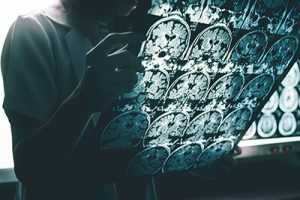 The study clearly suggests that menopause has a causal connection with Alzheimer’s disease. But what do the researchers suggest for women who want to stave off dementia? For one thing, women should start paying more attention to their cognitive health in their 40s and 50s. While they may not notice the effects of cognitive decline during these decades, they should already by taking preventative measures. This includes a diet rich in antioxidants. Foods like pomegranate, blueberries, walnuts and kale help women get their daily antioxidant fix. 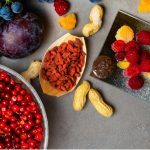 Antioxidants are essential because they prevent free radicals and environmental stressors from harming the brain. Some scientists believe that hormone replacement therapy may be an effective solution. The team who conducted this study is ambivalent. They suggest that more research needs to be done before hormone replacement therapy is adopted as an effective anti-dementia solution.